Back at SOLIDWORKS World 2019 attendees visiting our Partner Pavilion were able to experience SOLIDWORKS xDesign using 3Dconnexion’s SpaceMouse® Pro Wireless and SpaceMouse® Wireless CAD mice, both offering the finest in 3D navigation. The SpaceMouse Wireless devices are now officially supported by SOLIDWORKS xDesign and xShape so users can now accelerate their work by worker smarter and faster. Based on our parent company, Dassault Systèmes’ 3DEXPERIENCE platform, xDesign runs entirely in browser, with no installation necessary, allowing users to create 3D mechanical designs without the necessity of a CAD workstation. xDesign’s built-in collaboration capabilities offer multiple users active engagement in the product design and development process, all accessible via the cloud. With the ability to interface using PC laptops, Macs, tablets and phones, we believe xDesign is the future of cooperative 3D design. The SpaceMouse® Wireless offers ease of mobility and quick-use, with a patented 6-Degrees-of-Freedom sensor designed explicitly to manipulate digital content or camera positions in the very best CAD applications. It is a deeply intuitive way to pan, zoom and rotate your 3D drawings, leaving your other hand free to manipulate your standard mouse. It’s wireless and effortlessly portable. The SpaceMouse® Pro Wireless is the professional performance, long-lasting superior 3D navigation 3Dmouse, with world class ergonomics, and the deepest connection to your 3D content. Automatically recognizing your application environment, SpaceMouse Pro assigns appropriate commands to its four soft-touch Intelligent function Keys. 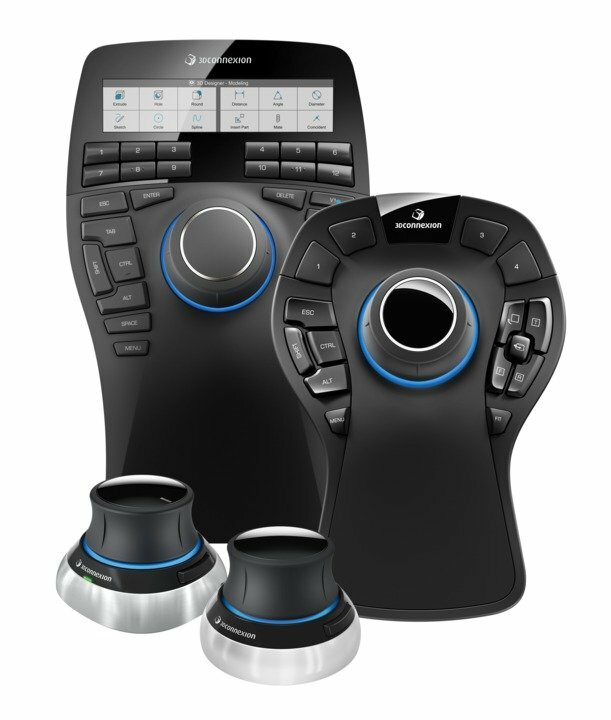 With fifteen buttons to manually assign commands, built-in on-screen display and multiple connectivity options, it’s a keystone product for design professionals. Haven’t tried SOLIDWORKS xDesign? What are you waiting for? Sign up today and give this cloud-based CAD tool a try today here.